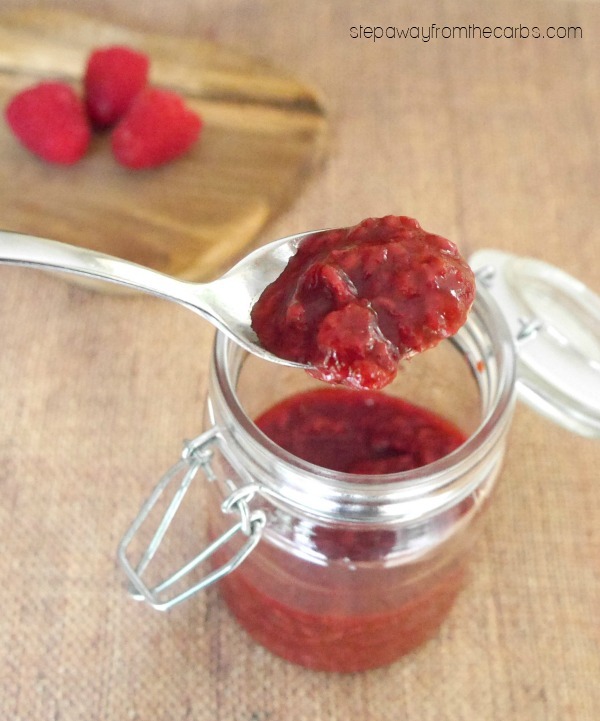 This raspberry chipotle sauce is bursting with amazing flavor – and it is low carb! 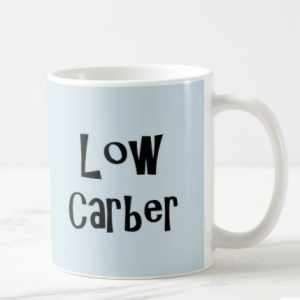 Do you have a weakness for certain high-carb products? 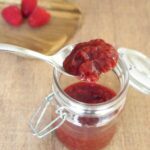 This recipe was created because of one mine – little jars of Bronco Bob’s Roasted Raspberry Chipotle Sauce that I find in World Market. It’s only a little jar, how bad can it be? Well – pretty bad! 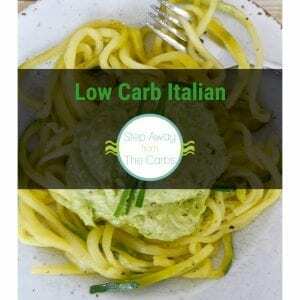 Two tablespoons of this amazing sauce is 19g net carbs! 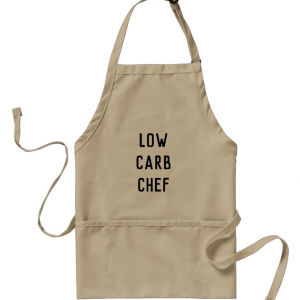 I decided it was time that I developed my own low carb version, so I checked out the ingredients: raspberries, sugar, jalapenos, apple cider vinegar, salt, chipotle peppers, garlic, mesquite smoke flavor, pectin. Clearly the sauce contains a LOT of sugar – because the other ingredients aren’t too carby. 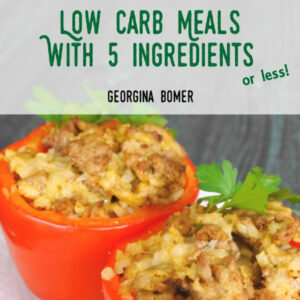 So try out my recipe and see what you think! Add fresh raspberries, one chipotle pepper in adobo sauce, low carb sweetener, vinegar (I only had white wine vinegar on hand but you could also use apple cider vinegar) and liquid smoke to a saucepan. Place over a medium heat, bring to the boil, then reduce to a simmer. 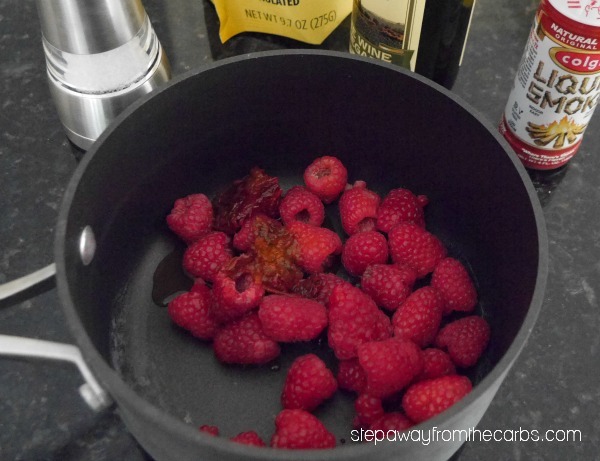 Squash the raspberries with a spoon to help them break down. Taste the sauce and add salt to season. You may like to add extra sweetener too if you prefer. At this point you could blend it or strain it, but I prefer leaving it as it is. Let cool then transfer to a storage jar. Add all ingredients apart from the salt to a saucepan. Place over medium heat and bring to a boil. Reduce to a simmer and squash the fruit with a spoon to help break them down. Cook for 10 minutes. Test for seasoning and add salt as necessary. Let cool then transfer to a storage jar. I’ve been using it for years – I’m pretty sure you can get it in the UK! It adds a gorgeous smoke flavor to food! Ah, chipotle is such a delightful flavor! Thanks for sharing your recipe! 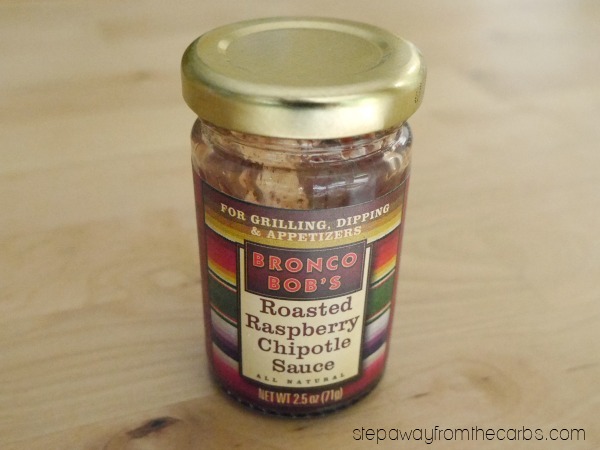 I have never had raspberry chipotle sauce before. It sounds amazing with sweet and spicy notes. I adore sweet and spicy together & I cant wait to try it. I’m about to start putting this sauce on everything! I love the mixture of spicy and sweet! This sounds delish! I love the flavor of chipotle and raspberry would balance it perfectly. Oh, you speak to my soul. Costco used to have a raspberry chipotle sauce that was AWESOME on pork tenderloin, cream cheese and crackers and chicken. I loved that stuff. Thanks for sharing your recipe for something similar with much less sugar. When you say 6 oz. of raspberries, are you talking about weight or volume? 6 oz. volume is 3/4 cup. I made this last week and measured out 6 oz. volume (3/4 cup), and it made so little that I couldn’t understand how this was a serving for 8. There isn’t a listing as to the yield, and what is considered a serving. Your recipe is awesome, so I hope you can clarify this a bit better. Many thanks! I used 6oz (in weight) of raspberries, about 170g. I find weight is a more reliable measurement when it comes to fruit! As this is just a condiment I wanted to keep the carb count down because the natural carbs in raspberries do start to add up. I’m afraid I didn’t record the volume of sauce that this recipe makes to accurately give a serving size, but next time I make it I’ll note it down and ad it to the recipe. Hope that helps! How do you use chipotle pepper seasoning versus chipotle in adobe sauce? Although I have chipotle powder, I actually haven’t tried making this recipe with it. The best I can suggest is “add to taste”, I’m afraid!